Cash management automation is, without doubt, the future of the financial sector. With most business still dealing with cash, and cash refusing to go away even with the introduction of plastic money, the need for automation remains relevant for now and the future. One of the biggest things that make businesspersons opts for money counter or automation, the cost of the management. The cash counting process is one of the areas that most business waste money unnecessary money. The number of the hours that are spent in counting the notes coins can take a toll on the business. Sometimes, if you are dealing huge sums of cash, you need to have someone permanently counting the cash to keep the business running efficiently. The number of workers will greatly depend on the amount of cash that you have been working on. But with the money counter machine, you will be able to cut all that cost by almost 98%. That will significantly reduce the cost if managing the cash in your business. 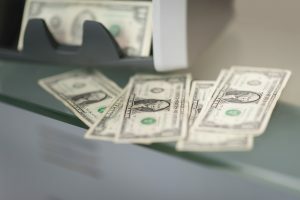 One of the difficult things that makes cash management difficult and expensive is due to lack of instant cash counting. For most business, due to the sheer amount of cash, they count later or employ people to deal with cash counting. But when you have invested in a money counter machine, you can have the cashier counting cash instantly. That will make it easier and cheap for you to deal with cash without an extra cost burden on the machine. Another key area that businesses lose money in cash management is the presence of fake money. In fact, this could be more expensive than the stealing that comes from workers. That’s because the fake money coming into the business could too huge. When fake money buys products you’re your business, it will be a loss since you will not use the same money to replenish the business. But with automation of cash management money counter, these are problems that you will be able to deal with all the time.